Since the change of leadership in North Korea in 2011 there has been a noticeable change in the DPRK’s disclosure policy concerning missile programs, from the zealous opacity of the late Kim Jong Il to the almost exuberant transparency of Kim Jong Un. Under the younger Kim, the public is inundated with the sights and sounds of North Korea’s missile tests, where the portly visage of the younger leader – beaming to the camera and surrounded by his engineers and generals – is constantly featured front and center. In the last 10 months alone, we have seen a second satellite launch aboard the giant Unha rocket, the unveiling of a second generation (yet untested) ICBM, a close-up of what is described as an implosion nuclear warhead for ballistic missiles, a live test of a supposedly indigenous air defense missile – which looks like a twin brother of the Russian S-300, a flight test of the hitherto mysterious “Musudan” IRBM, and an underwater launch of a solid propellant SLBM – which looks like the twin brother of the vintage Soviet liquid propellant SSN 6. In between, we have been treated to the sights of at least two live exercises of North Korea’s operational Scud C and Rodong missiles, as well as high quality photographs of missile technology tests, such as a static test of a large solid propellant rocket, a static test of a liquid propellant motor assembly and an ablation test of a nose tip of a large ballistic missile. The visual material released by North Korea was rich in corollary details such as a cutout of the large solid propellant rocket, maps indicating launch points and flight trajectories, and computer screens with flight telemetry and tracking data. 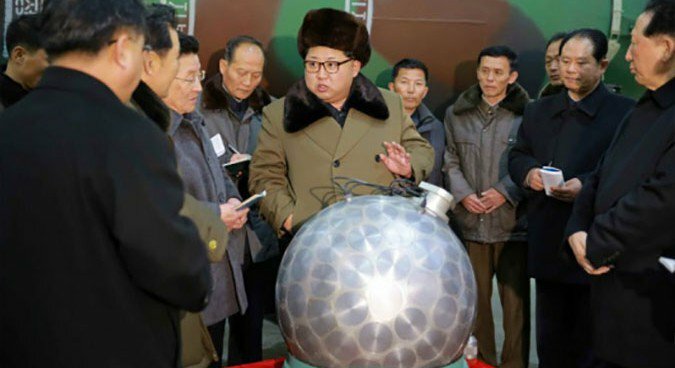 The engineers of the beaming Kim Jong Un seem to touch all bases. Is all this stuff for real, or are we being treated to a gigantic, Potemkin village-like hoax? Within less than one year the North Koreans advertised the testing of almost every form of advanced rocketry, from Space Launchers to ICBMs to IRBMs and SLBMs, right down to air defense interceptors, as well as almost every key technology involved from liquid propulsion to solid propulsion to flight control, guidance, telemetry and test range tracking. Veteran North Korea watchers had their hands full just keeping track on the flood of revelations emanating from the previously secretive Hermit Kingdom. But is all this stuff for real, or are we being treated to a gigantic, Potemkin village-like hoax? Some Western analysts tend to trivialize North Korean disclosures and characterize them as Photoshop propaganda ploys. And some respectable Western experts still believe that North Korea cannot manufacture its own liquid propellant motors to this very day, and that their programs rely on a stockpile of refurbished Russian motors. Just remember how the “Musudan” IRBMs, first rolled into public view in a 2010 Pyongyang parade, were dismissed as “Mockups”. Every revelation of a new North Korean missile is always met with skepticism, and every test elicits a chorus of opinions stating that “It is a long way until this is operational”. 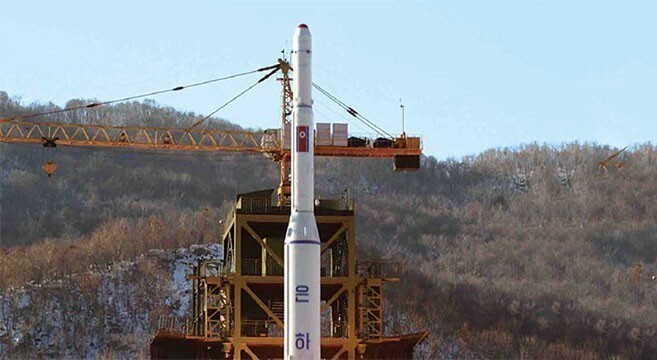 One notable skeptic sneered not long ago that a starving population like that of North Korea could hardly be capable of engineering feats, therefore dismissing the North Korean missile threat as a “bluff”. The recent information released by North Korea is carefully controlled. We see only what the North Koreans want us to see. Yet close scrutiny of what we see tends to refute the skeptics. In retrospect, most of them, hailing as they are from the arms control community, tend to see reality in light of their own preconceived notions. Thus in spite of some clumsy North Korean PR bloopers, it can be stated with some confidence that Pyongyang now has the infrastructure, human resources and management skills to develop major missile programs. While skeptics correctly point out that some of their major missiles programs still have a long way to go until maturity, they turn a blind eye to the remarkable achievements to date. If anything, the North Korean missile programs are far from a bluff. Scrutinizing each program separately would confuse the forest for the trees. Rather, it is more useful to characterize the North Korean missile efforts as a whole. Several of its features stand prominently out. First, the North Korean effort is unencumbered by Western-style public scrutiny. With no free press, civil society or independent public auditors, North Korean program managers can forge ahead with little regards to cost overruns or test failures – which remain covert and unadvertised, at least internally. In a dictatorship like North Korea, tolerance to failures therefore depends on the political leadership. When the incumbent ruler gives his engineers their head – like what the young Kim Jong Un seems to do – they repeatedly test and re-test until they achieve a success, as they have done with the “Musudan” after a run of five consecutive failures. This seems irrational to Western managers, who are used to halting test programs for thorough time in order to conduct fault analysis before resuming them. Provided, then, that the dictator refrains from punishing managers for test failures – as the Young Leader seem to do – they are free to debug their systems through the costly yet faster method of repetitive testing. Reliability is not an issue here. Nuclear missiles gain deterrence value once they prove they are flyable, regardless of the test scores. After all, from the defender’s perspective, what is the difference between how many nuclear missiles the aggressor need to launch, as long as there is a reasonable prospect that one of them will hit the target? Second, Pyongyang is severely limited in its flight testing programs due to regional political constraints. Ever since the strong backlash from the overflight of Japan in their 1998 (failed) space launch, the North Koreans have been sticking to testing into very close waters, at least in the case of their longer range missiles. Again, the “Musudan” test of June 2016 is a good example: Instead of flying it to its full range of presumably 3,500 km, they launched it into a steeply lofted trajectory with a peak of 1,400 km and a horizontal range of only 400 km. In another case, a map seen during the recent operational flight test of the 1,300 km range Rodong missile showed its launch point near the western coast and a flight path over the width of the peninsula, before hugging the eastern coast of North Korea to a range of only 500 km. No Western missile program would jeopardize safety by flying over populated areas or near populated shores like this, but a buttoned up dictatorship can afford to risk its own population for national security considerations. This practice of limited-range testing can’t work for space shots, though, which must fly their nominal trajectories. Consequently, they are launched from the Sohae test range in western North Korea in a southerly direction into the open Pacific. Why the North Koreans avoid testing their ballistic missiles to their full range from the same location and to the same azimuth therefore remains unclear. Perhaps they are wary of the risk of the debris being fished out by the South Koreans – as is routinely done after each space shot from Sohae – thus revealing secret information to the West. It remains to be seen what the North Korean will do when the time comes to test their ICBMs. Finally, what made North Korea switch from opacity to (controlled) transparency? Here one can speculate that the Western educated Kim Jong Un is more aware of the power of the media to establish the credibility of his nuclear force. The credibility of nuclear weapons can be advertised by their testing, which is monitored by Western seismometers. The credibility of nuclear delivery platforms, on the other hand, cannot be established through secret testing. Missiles, unless seen, are not believed. The opacity policy of Kim’s predecessors earned them a chorus of skeptics characterizing North Korean missiles as a bluff. But by showing his hand and releasing copious visual evidence of his missiles testing, Kim Jong Un is silencing them. 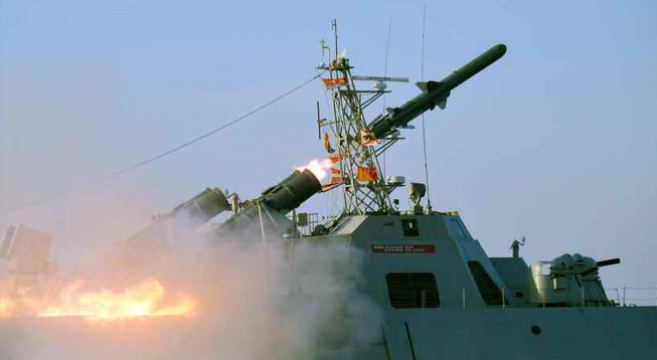 Rubin is a pre-eminent Israeli expert on missile defense. He was the founder and director of the Arrow defense program against long-range missiles in the Israeli Ministry of Defense.